Up to 14 PDU's with riveting speakers and a tailgate with Packers players Vince Biegel (#45, linebacker) and Josh Jones (#27, safety) at historic Lambeau Field. *Please use the American Family Insurance Gate for entry. Leaders are expected to possess conceptual, human, technical, and political skills. Leaders need to be sensible and willing to learn. Leaders need to be flexible and fair. Leaders need to be intense and at the same time somewhat humble. You don't need a title to be a leader. Position power is the extent to which leaders have rewards, punishments, and sanctions. Position power comes from the organization. Personal power is the extent to which you can gain the confidence and trust of those people that you're attempting to influence. It's the cohesiveness or commitment between leaders and followers. A born public speaker and trainer, Kit Welchin began public speaking at the age of 9 in 4-H. By 16, he was organizing and facilitating presentations on leadership, citizenship, community service and motivation for the 4-H and Future Farmers of America. Kit Welchin purchased his first manufacturing company at age 21, and by 26 was CEO and Chairman of the Board of three manufacturing companies in three states. He's been an instructor with the Minnesota State Colleges and Universities, where he has been repeatedly nominated Outstanding Faculty. He is a Professional Member of the National Speakers Association. Kit has a B.S. Degree in Speech Communication, Business Administration and Political Science. He earned an M.A. Degree in Speech Communication and Business Administration. " In 2014, Kit was inducted into the Minnesota Speakers Association Hall of Fame. " He has delivered more than 3,000 speeches and seminars to more than 500,000 people over the past 26 years. We often hear comments like "There is no BA role on Agile projects, but since they interface with business stakeholders, BAs can be product owners (POs)." Or "There is no need for project management on Agile projects." There are so many role-related myths like these swirling around Agile projects that's it's difficult to tell fact from fiction. This lively presentation sorts through these myths and explains how grains of truth about Agile projects become myths, why and when both business analysis and project managers are needed on Agile projects, whether roles change when scaling Agile, and which roles are needed when contracts are involved. Elizabeth Larson, PMP, CBAP, CSM is Co-Principal and CEO of Watermark Learning and has over 30 years of experience in project management and business analysis. Elizabeth's speaking history includes repeat keynotes and presentations for national and international conferences on five continents. Elizabeth has co-authored five books and chapters published in four additional books, as well as articles that appear regularly in BA Times, Project Times, and Modern Analyst. Elizabeth was a lead author on the BABOK Guide 2.0, the PMBOK Guide 4th and 5th editions, as well as the BA Practice Guide. She was also an expert reviewer on both the BABOK Guide 3.0 and the PMI standard in Business Analysis. Do you ever work on misguided projects? Or projects that don't meet business needs, or are doomed for failure? How many of those had actual business cases? Bulletproof business cases contain feasible and effective ways of justifying and recommending projects or project components that address real business needs, both problems and opportunities. Help contribute to your organization's bottom line with bulletproof business cases! President and Founder of Watermark Learning, Richard Larson is a successful entrepreneur with over 30 years of experience in business analysis, project management, training, and consulting. He has presented workshops and seminars on BA and PM topics to over 10,000 participants on five different continents. Rich is a frequent speaker at Business Analysis and Project Management national conferences and IIBA and PMI chapters around the world. He has contributed to the BA Body of Knowledge version 2.0 and 3.0, was a lead author for the PMI Business Analysis for Practitioners: A Practice Guide, and the PM Body of Knowledge, 4th edition. He and his wife Elizabeth Larson have co-authored four books, including The Influencing Formula, and Practitioners' Guide to Requirements Management. To be effective in today's marketplace, you must force yourself to look at your organization's/team's EXPERIENCE from a different perspective. Jeff Tobe is not just entertaining-he provides real 'tools' to creatively ENGAGING your internal and external stakeholder. With the push to agile methodologies, Jeff gets PM's to focus on scope flexibility and team input in a whole new way. We now have to consider our internal and external customers' EXPERIENCES from the minute they make contact with us to the minute they are done! Jeff encourages PM's to "start considering every one of your TOUCHPOINTS--those opportunities you or your people have to affect the customer/stakeholder experience. Allow people to 'tweak' their own touch points and, collectively, change the experience. Jeff Tobe founded Coloring Outside the Lines in 1994 and since then has worked with hundreds of clients ranging from Fortune 500 companies to ones with less than 20 employees including Microsoft, PepsiCo, Bank of America, ReMax International and many more! His articles have been read in hundreds of publications and he is the author of the hugely popular book, Project Management Professionals are Coloring Outside The Lines! He is the co-author of three other books and his newest book, ANTICIPATE: Knowing What Customers Need Before They Do is quickly becoming one of the hottest business books on the market. This session will share three social good initiatives. The first local program involves assisting an NPO addressing mental health issues in the community. The second program describes a Military Initiative providing help to veterans locally and nationally with PMI certification. The final program describes Project Management education introduced in Nicaragua to help members of the Wisconsin Nicaragua Partners organization learn basic project management skills. Pat Sinnott is the former president of the PMI-NEW chapter and has introduced social good programs that have helped people in the community and beyond. He has over 15 years of project management experience in multiple industries, most recently in healthcare and insurance. Through his volunteering with NPOs and NGOs, Pat finds fulfillment in helping the less privileged and is eager to describe how he has leveraged his Project Management skills with his volunteerism to provide assistance outside of his work life. Are you considering PMI membership? Are you already a PMI member? Are you aware of the vast repository of resources that are at your fingertips and PDUs at no cost included with your PMI membership. You can access free webinars, expert-advice, tools, templates, and articles. In addition, you have the ability to grow your network globally within the PM community. Attend this session to learn how to access these resources and get the most value from your PMI® membership. This engaging duo addresses the training transfer gap where for every session you attend and learn, you will also walk away with some relevant resources to effectively implement the new skill in your work setting. As a result, you will take what is learned and apply it to achieve improved performance. Nila Vaishnav is a talented IT Professional, an experienced Project Manager and a teacher. She is passionate about sharing her knowledge while also having a thirst for gaining new knowledge. Kate Milani is a certified Instructional Designer and Project Manager who is adept at analysis, design, development, and implementation of programs and processes aligned with diverse stakeholder needs. Nila and Kate are PMI-NEW volunteers on the Speaker Selection and Professional Development Days committees. 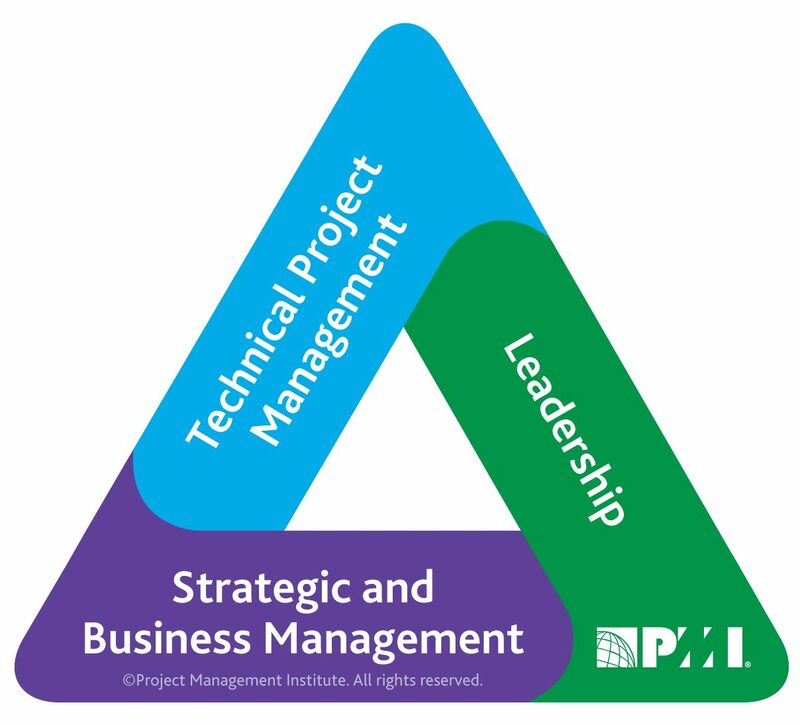 Patrick is President of our local chapter of Project Management Institute (PMI-NEW.) He also helps with the PMP Exam Prep classes. This presentation will explore current issues and latest the latest trends in project management education based on the latest research/surveys as well as the presenter’s experience. It will include both student education (undergraduate and graduate) and professional education. Different formats of education (classroom, seminar, online, self-study) will be explored. (i.e. web content). Free as well as paid resources will be explored. Lastly it will explore ways PM professionals can educate other PMs as well as students. The session will include both lecture and interactive components. Attendees will also have an opportunity to ask questions of the presenter as well as each other. Identify opportunities for them to help educate other project managers/potential project managers. Andy Miller is a Senior Lecturer at the University of Wisconsin Oshkosh, where he teaches Introductory and Advanced Project Management courses as well as Quantitative Analysis, Strategy, Change, Organizational Behavior and other courses. He teaches in the undergraduate, Professional MBA and Executive MBA programs. Andy is active in the Project Management Institute (PMI) Northeast Wisconsin Chapter, serving as a special advisor. Generational differences are becoming a bigger issue in the workplace as many organizations begin transitioning to a younger workforce. Millennials have now overtaken all generations in sheer numbers, quickly becoming the largest employee population in the nation. You see the way your organization has been operating, but also you see changes coming through the influence of younger employees. Now what? How do you manage both worlds colliding in the workplace? How do you solve key generational issues so that your employees are working together for the good of the organization-rather than working against each other? How to generate valuable ideas to support lasting change for the sake of your organization's long-term success. Chad Kopitzke is an X'er stuck between two of the largest generations in American history-millennials on one side, boomers on the other. Through his background of managing internship programs on a state university campus, Chad has effectively played third party between companies and students. He hears what business leaders need and what keeps them up at night. He understands today's college kids-how they think and what they value. Chad's own mentors have been C-level corporate boomers, which means he can also relate to how they operate and what they expect. All of this places Chad at a unique vantage point in modern business culture. His focus is to help generations connect-rather than collide-for the sake of business growth. Every day we move in one direction or another. We're free to choose from endless possibilities. Only you can choose the direction for the rest of your life. Whether you are a seasoned executive, emerging leader, stay-at-home parent, or college student, frustration is inevitable. Now is the time for you to SHIFT from, "I'm so busy and stressed," to, "I'm living my ideal life right now." In this presentation, Derek will teach you a 5-gear process that you can apply in your personal and professional lives. Each gear will uniquely move you from frustrated to fulfilled. Though powerful questions and compelling exercises, you'll discover how to make today the day you are inspired to change. It's your next move! As a project manager, your teams change, priorities of the company can shift and change with little notice. How do you lead in this setting? How do you keep your people engaged and enthusiastic? With hilarious stories from her sled dog team, Chris drives home specific skills and important principles to get the most out of each member of your team whether they have four legs or two! Award winning speaker and business owner, Chris Heeter, is out to create a wild revolution in the workplace. A wilderness guide since 1982, featured on the Discovery Channel's National Geographic Today, Chris has led and worked with countless teams, helping them literally and figuratively find their way as a group and as individuals. Chris draws on stories from her sled dog team and whitewater canoeing adventures. Her programs are rich with content, perspective, and easy to apply insight for the workplace. She believes that teamwork, leadership, and diversity boil down to three simple elements: self-knowledge, compassionate presence, and courageous conversations. In other words, it boils down to be your full wild self having the courage to bring the gift of all you are to all of what you do. Isn't it time for a little more wild in your world? Does it seem like you are fighting an uphill battle or have plateaued in your agile journey to become more responsive and adaptive to change? Do you have the right organizational structure in place to support the behaviors you want? Agile is not an "IT thing" - it has much more to do with how your organization is structured into teams. Organizations generally focus on behaviors, policies, and tools to help them gain agility but don't change their environment to support agility. As organizations grow and look for ways to scale they need to focus on creating an organizational structure that will nurture agility and enable continuous improvement. This talk focuses on organizational structure that will cultivate and sustain agility. Chad Beier works with all levels of the organization to optimize your business to respond to change. Chad is passionate about moving organizations and people closer to agility. His passion for training led him to the public speaking realm. He is passionate about speaking on any topic that contributes to improvements surrounding organizational structure/behavior/effectiveness, modern management, agility, Scrum, Kanban, and team dynamics. The critical objectives that must be achieved early related to project framing, planning, and infrastructure-and how to achieve them. Sara Gallagher is a Senior Consultant at The Persimmon Group specializing in capital management, strategic portfolio delivery, and organizational effectiveness. Sara travels internationally speaking and training on project management and organizational effectiveness. Sara's philosophy of project management involves "leading projects with both sides of the brain," on the premise that even very technical projects require innovation, strategic thinking, and relationship savvy to execute. Her consulting career has focused on high-stakes, transformational projects including industrial mega-projects, software implementations, and strategy deployments. In her engaging programs, Sara integrates evidence-based management insights with a healthy dose of contrarianism to test what we think we know about a subject matter. Prior to joining Persimmon, Sara served as the senior project manager for a network of privately-owned career colleges dedicated to the training and retraining of thousands of adults each year. A graduate of Emory University in Atlanta, GA, Sara has also studied at the American University in Cairo. She is a Project Management Institute (PMI)-certified Project Management Professional (PMP). Annie unveils that anytime you engage in an idea or cause bigger than yourself, you may at first think it's "not about you". Yet stretch goals reveal what each of us is made of - so yes, it IS about you! If the end game doesn't appear to start off as your big idea, somewhere along the line it will morph into your goal or you may never cross the finish line. Overcoming challenges, resilience, dedication to the process, and altering perspectives can push you to accomplish any big goal. This presentation will give you the plan to get there! Growing up as a middle child of seven children raised by a single mom, Annie Meehan learned tenacity and resilience at a tender age. The word "survival" took on many meanings in her younger years, developing within her a richly profound, fiery spunkiness. At age 7, Annie was told she was dyslexic. She struggled with spelling and reading letters in the correct order to the point that when she was 21 years old, she was asked if she was illiterate. That never stopped the current professional speaker, business owner and author of three books from becoming all she was meant to be. Annie's professional speaking career began as soon as she left her first corporate job at Piper Jaffray and was a contract speaker for one of the top non-profits in the United States. Now as an author, a franchise business owner, wife, mother, certified coach, team support for 100+ Advocare distributors, and volunteer, Annie sprinkles into every presentation her personal and professional stories of new perspectives, faith, persuasion and pursuit. From having no voice to speaking to thousands, her authentic, engaging presence and dedication to her audiences is unmistakable. With a dedication and passion for new ways of thinking, shifting beliefs and choosing to overcome, Annie lives everything she teaches, giving audiences real-time useful ideas and actionable strategies. "All the world's a stage," and this session proves that point. Taking a cue from his acting days, Jack uses the tricks of improv to improve co-worker camaraderie. This session is sure to bring laughter and fun, but more importantly, it will provide real-world takeaways for practical use. Your group will: " Learn effective communication strategies to connect with "difficult people," not that your office has any of those. " Hone communication skills by using the "yes, and" philosophy that creates improved conversations both in and out of the workplace. " Knock down communication barriers to avoid becoming the office Debbie/Donny Downer. By providing a malleable message that can be customized for any organization, Jack Stahlmann has presented everywhere from backrooms at small companies to the penthouse of Fortune 500 offices. Jack's entertaining and informative presentations are built around his experiences in Los Angeles as an actor, producer, director - and of course, a waiter. In 2002, he launched his own production company which created several films that enjoyed international success. The Fifteen Minute Show, an extremely low-budget feature film that was produced for less than $1,000, was the darling of the 2003 New York International Film and Video Festival. In 2004, he launched his most successful project, The Lift, which was featured in five film festivals worldwide. Freelancing in the directorial ranks, he was instrumental in creating the Margaret Cho stand-up show, Cho Revolution, working as the Second Assistant Director. As an actor, his shining moment came in a co-star role on the CBS drama Cold Case, where he played a wimpy park ranger. He also appeared on Days of Our Lives and several regional commercials. Most people don't like making mistakes yet they happen - it is part of the human condition and project and program managers are no exception. You have to move on with your people, projects, and deadlines in an accountable manner. This begs the question how to best define accountability and how you can learn from mistakes so you can move on wiser. This session addresses the 'psychology of mistakes', unconventional ways to learn from failure, and how to restore confidence and credibility. We'll cover the 'how' of blameless team post-mortems, techniques developed at Princeton and the Kellogg School of Management, principles from the world of High Reliability Organizing, and other ways to help you determine the ROF - Return on Failure. Understand common misconceptions regarding mistakes, failure, and accountability. Identify and adjust personal response patterns to mistakes and failures in order to increase personal and team accountability. Understand the mechanics and application of a multitude of approaches to benefit from mistakes and strengthen accountability. Carolien Moors is the founder of HardTalk Biz Coaching. She provides executive coaching, keynotes, team workshops, webinars, and change management consultation. She has 27 years of experience in Europe and the U.S. serving PMI for several years, teaching at the U of M, and serving many industries such as the legal field, IT, finance, utilities, hospitality, food, education, healthcare, manufacturing, government. Her topics are: change management, accountability, emotional intelligence, leadership and team development, communication, and stress and conflict management. Carolien holds masters degrees in psychology and education and engagingly applies insights from system thinking, psychology, neuroscience and leadership research. Clients describe her as practical and astute and lastly, Carolien donates her expertise to selected non-profits. Are you ready to be inspired, invigorated, and equipped to turn great challenges into unimaginable victories? In this compelling, inspirational presentation, Jonathan uncovers three hidden benefits of your support system that can help you achieve this goal. This is the power of people in your lives. Jonathan teaches how "People Power" helped propel him from living in public housing projects and homelessness as a child to becoming an accomplished attorney and award-winning leader. Plus, Jonathan's message is made even more memorable by his powerful, fine art photography, which he uses as a metaphor to graphically illustrate key points. Attendees will be emboldened to use their support system - not to merely surmount obstacles - but to ascend far beyond them into a future of success. The importance of cultivating positive relationships within the project management community. Reservations for the Event will be made by individual attendees directly with Hotel’s reservation department (Call 800-333-3333 or the hotel direct at 920-494-7300 ). In order to receive the group rate, your attendees must ask for a room in the Project Management Institute of N.E.W room block. All accommodations must be made by 04/23/2018. All accommodations must be made by 04/16/2018. At this time, all unused rooms will be released back into inventory for the general public to book. Any room requests after this time may be subject to a rate increase. Guarantee Method A valid credit card is required to guarantee individual reservations. Less than 1 day before arrival: 100% of 1st night’s stay. Additional night(s) will be released. Guests will coordinate their own reservations, by phoning in their reservation requests individually to 920-405-0400 . It is important that each guest identify themselves as part the PDD 2018 group and provide us with guest name, requested type of room, check-in and check-out date. Any requests for special room arrangements must be made at the time of this call and cannot be guaranteed. The hotel will note all special requests and accommodate these requests, based upon availability. Reservations must be placed prior to 3/31/18 in order to be guaranteed at the group rate.